Overture II: ATX and MicroATX — Be aware, this case makes it very difficult to replace the power supply should something bad happen to it. The power supply may have issues and generate noise on the PCI bus under moderate to heavy load, causing reception problems on some tuner cards, such as the pcHDTV HD-3000. Fusion — A beautiful case with solid aluminium front with imon VFD and volume control included. 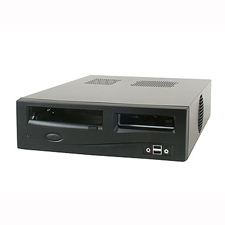 Comes with very quiet power supply and Twin nearly silent 120mm case fans. See the LCDproc page to set up the VFD under linux, and the Volume Knob on Antec Fusion page to get the volume control working with lirc. Micro ATX only.